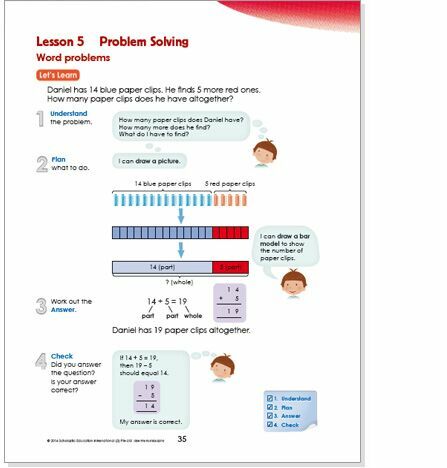 ALPHA Mathematics teaches via problem solving through the systematic development of problem sets; and by focusing on both aspects of problem solving - the method and the process. 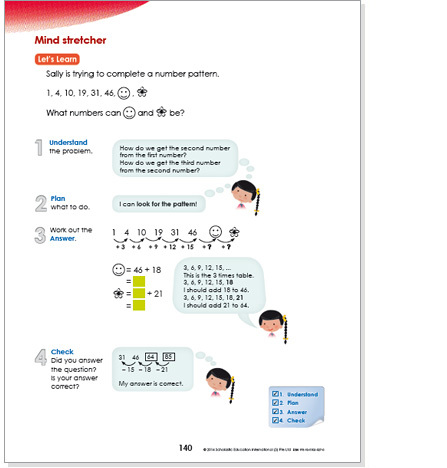 ALPHA Mathematics explicitly teaches an efficient 4-step UPAC problem solving process. 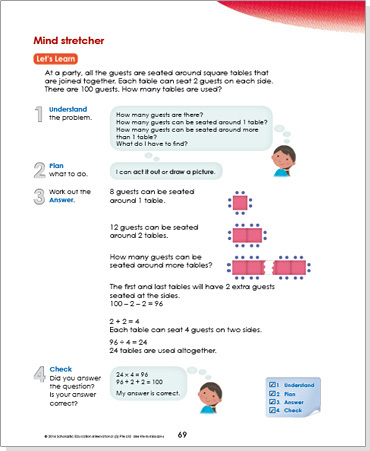 This process builds good habits for approaching mathematical problems of all levels of difficulty. 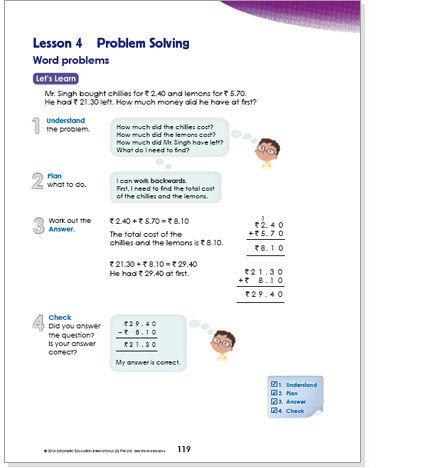 What can you do to help you solve the problem? Solve the problem using your plan in Step 2. 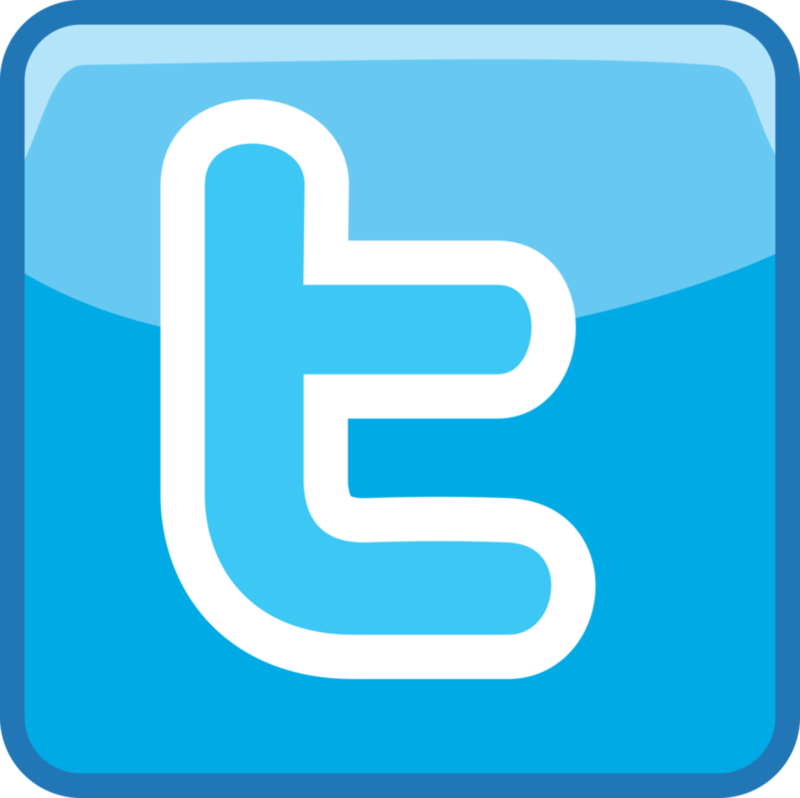 If you cannot solve the problem, make another plan. Read the question again. Did you answer the question? If your answer is not correct, go back to Step 1. 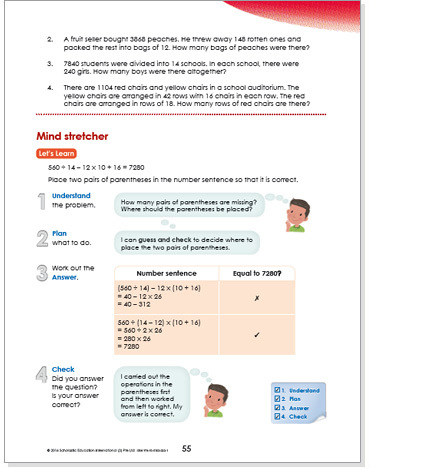 ALPHA Mathematics explicitly teaches different problem solving strategies and how to select, express, categorise and compare these strategies. 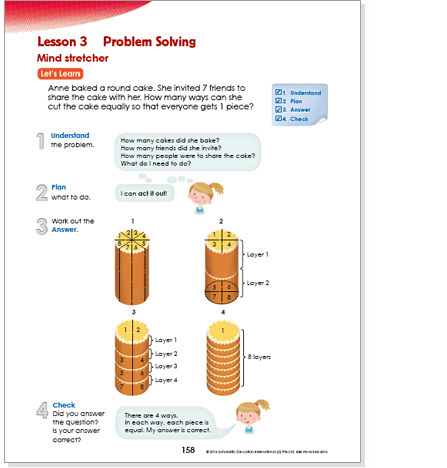 The Bar Model Method is one of the most powerful strategies for mathematical problem solving. 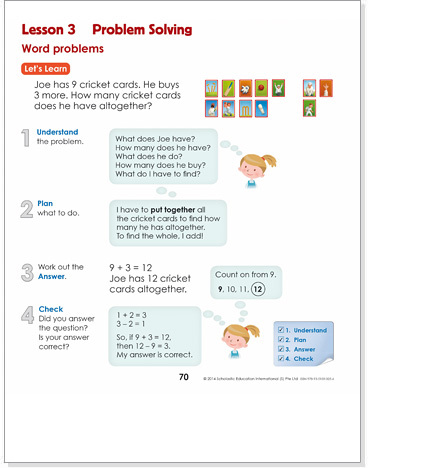 It allows students to solve complex word problems using visual representation. 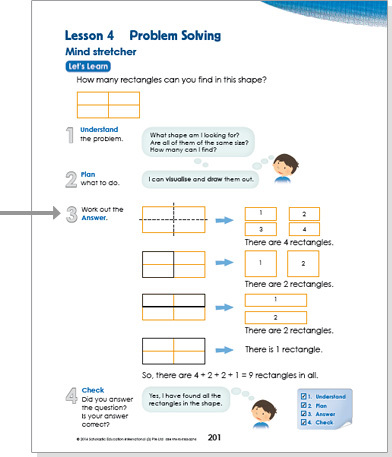 The Part-Whole Model enables students to understand the concept of addition (given the parts, find the whole). 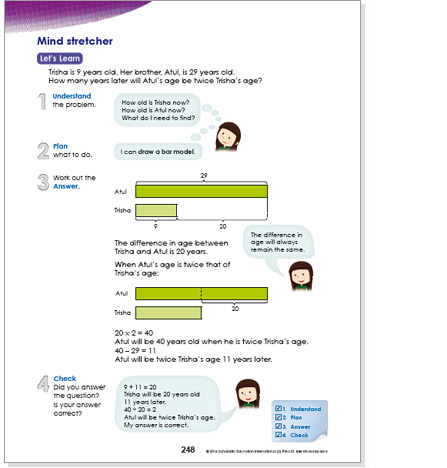 The Comparison Model enables students to compare two quantities and shows the difference in quantities. 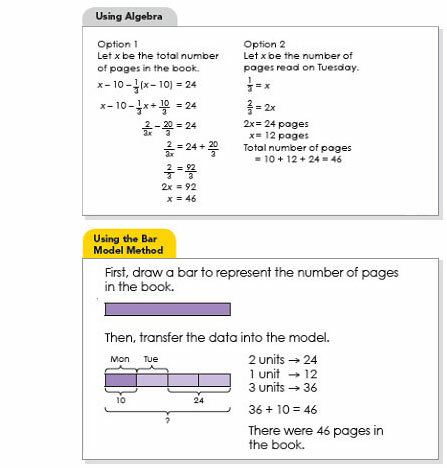 The Bar Model Method enables the students to think conceptually, allowing them to do algebraic thinking without having to do algebra. Pearl read 10 pages of a book on Monday. She read 1/3 of the remainder on Tuesday. If she still had 24 pages to read, how many pages were in the book? 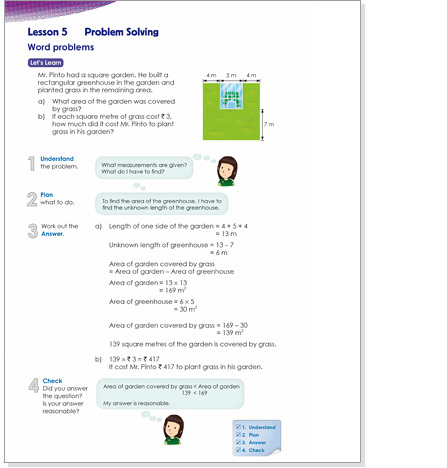 Students progress through different types of problem sets including word problems and non-routine problems. 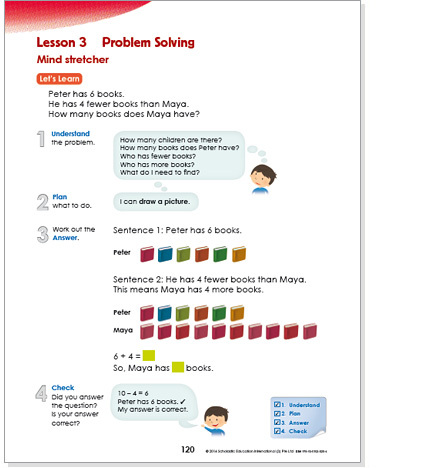 Enable students to apply knowledge learned and make mathematics relevant to daily life. 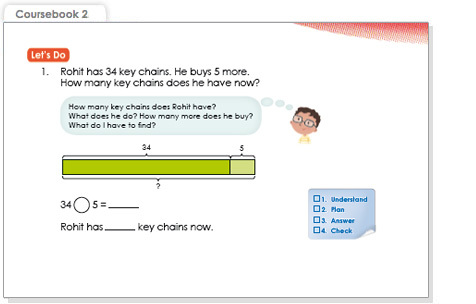 Assess students’ ability to apply knowledge learned. 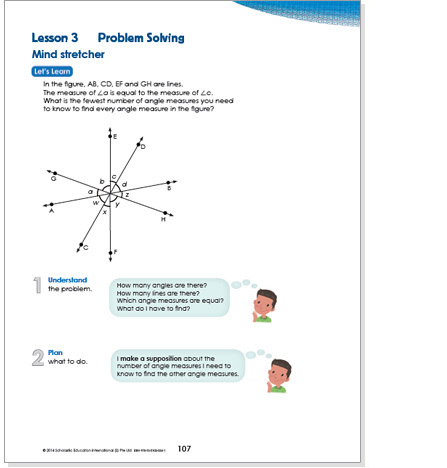 Provide opportunities for students to apply knowledge to unusual or complex problem situations. 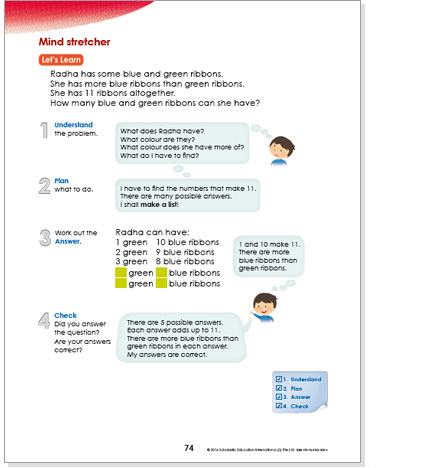 Develop higher order thinking skills.